← My church ….standing in the light. She built a library in Africa … and so can you! 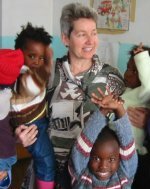 A few years ago, former YMCA camp director, mother, and intrepid educator Chris Bradshaw was pony-trekking through the small, landlocked country of Lesotho with her two home-schooled children, as part of an uber-field trip, when she looked at her oldest son reading as he rode, and asked her guide where the nearest library was. The guide said, “South Africa.” And that was when the blazing idea of the African Library Project came into being. Once she’d confirmed how fervently the Lesotho community wanted a lending library, Chris sprang into action, mobilized her friends, and before you can say “The Cat in the Hat Is Back” she’d put together the structure for this amazing project whose partners include Peace Corps volunteers, the National Library Service staff, a host of African education districts & Ministries of Education, and numerous African NGOs – essentially, anybody who will work with ALP to get things done. And boy, can these folks get things done. 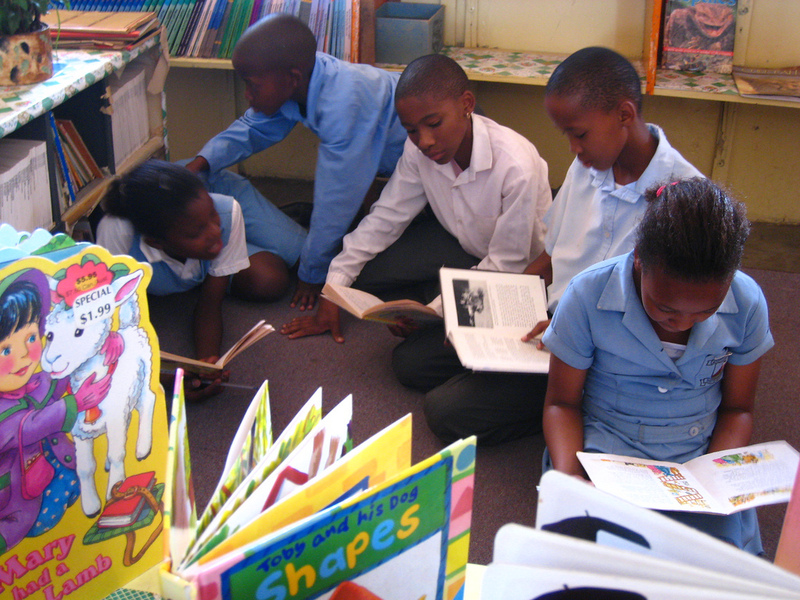 To date, African Library Project has opened 437 libraries with 450,000 donated books in Lesotho, Swaziland, Botswana, Nigeria and Malawi. Right this minute, a container ship is set to be filled with 50,374 books for 48 new libraries making their 10,000-mile journey to Botswana. Apparently, Winston-Salem Symphony’s Assistant Director challenged every elementary school in the city to do an African Library Project book drive and darned if together the symphony and schools didn’t collect 1,000 books apiece — the ALP requirements for anyone, anywhere, to start a library in Africa. Once an African school or community applies and commits to providing the space, bookshelves and staff to sustain its free lending library, ALP matches them with an American group of book drivers, like the one near me in Inman Park. An all-volunteer, all-donor organization, African Library Project has engaged enthusiastic 8-year olds to 80-year olds, Brownies to Silicon Valley billionaires, in its efforts to get books into the hands of people who so desperately want them. 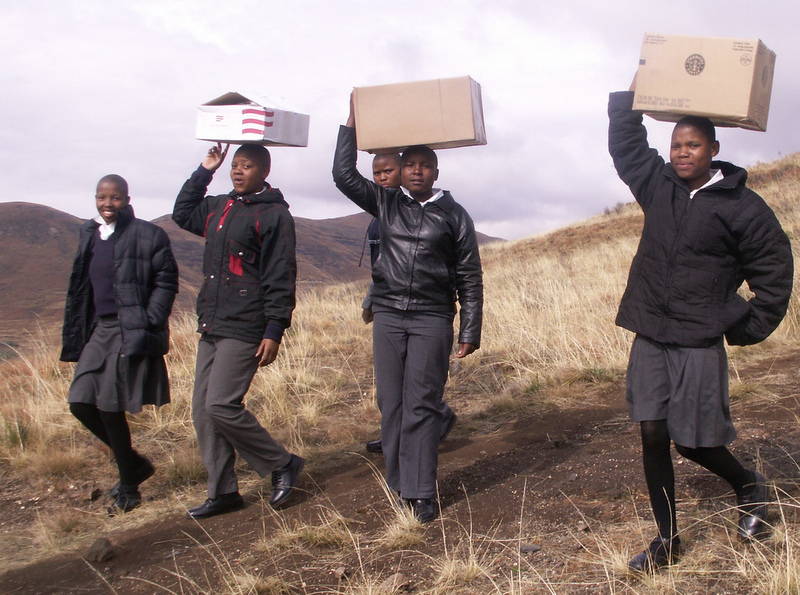 Lesotho children carrying their new library the last leg of the journey. And really —what could be a better gift or legacy? In Lesotho alone, 40% of the people live below the poverty line, and Africa has the highest percentage of illiteracy in the world. 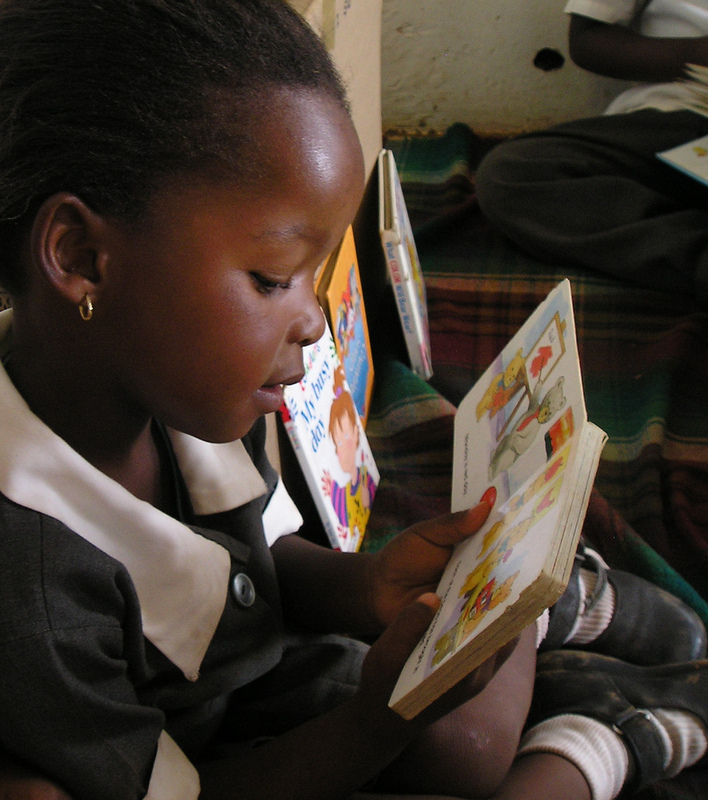 Books are the key to increasing literacy, and literacy is the #1 tool for climbing out of poverty. Yet many African teachers teach reading, writing, math and English without a single book to use as a resource, while we throw millions away every year. Granted, books may not be the answer to alleviating poverty in Africa, but they most definitely are an answer. And for doing this work so creatively and joyfully, African Library Project gets my $100 today. And an A+ for a job well done! I am nowhere near being qualified to being a librarian but reading is close to my heart. So too is the condition of libraries in most schools, especially high schools in South Africa. I would love to know how to be more of service to my community in this regard, any pointers? I have also always had a dream of opening toy libraries for pre-schools in previously disadvantaged communities. Please Help. Letsotho is such an interesting place. I wanted to do more when we were there… there is potential… and joy… and interesting things hidden in corners. I LOVE seeing your posts in my mailbox in the morning… it makes my day… and reminds me why I am doing what i am doing. Thank YOU so much B for all the inspiration!!! such a dear story. keep it up, Bet. Your blog is so positive and so inspiring. Thank you Betty. I hadn’t heard of the African Library Project. Every one of the organizations you’ve written about would get my money! And I do love the photos! Chris Bradshaw is my sister-in-law. Her committment to the African Library Project inspired my to get involved. My sister, Judy Clements, and I have now finished 3 libraries with the help of our friends and neighbors, Inman Park, Mary Lin Elementary School, Community Q BBQ and others. It was a lot of fun. 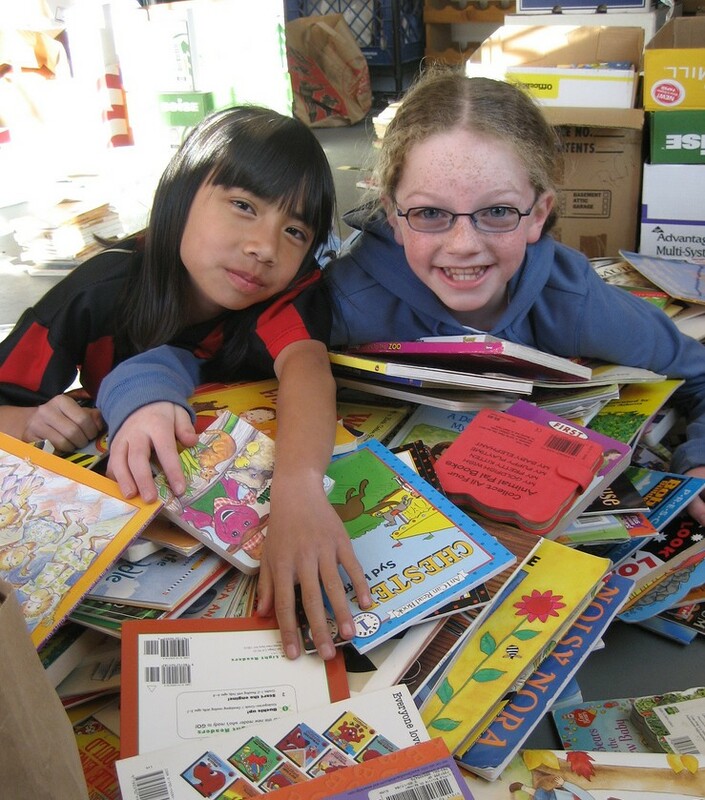 We collected over 3000 books. They will be used to start 2 libraries in Swaziland and 1 in Botswana. Thank your for including ALP in your year of giving! Betty, love how you are spreading light in the world both with your money and letting other people know about good things that are happening every day. I hope your blog inspires some of your readers to organize a book drive to start a library in Africa. I’ll let you know if they do! Betty – It pleases me so much to see your gift to the African Library Project. My sister and I have just finished collecting books for 3 libraries with this terrific organization, 2 in Swaziland and 1 in Botswana. It was fun and relatively easy. And a terrific way to spend some volunteering energy. Yeah, Chris Bradshaw and ALP!